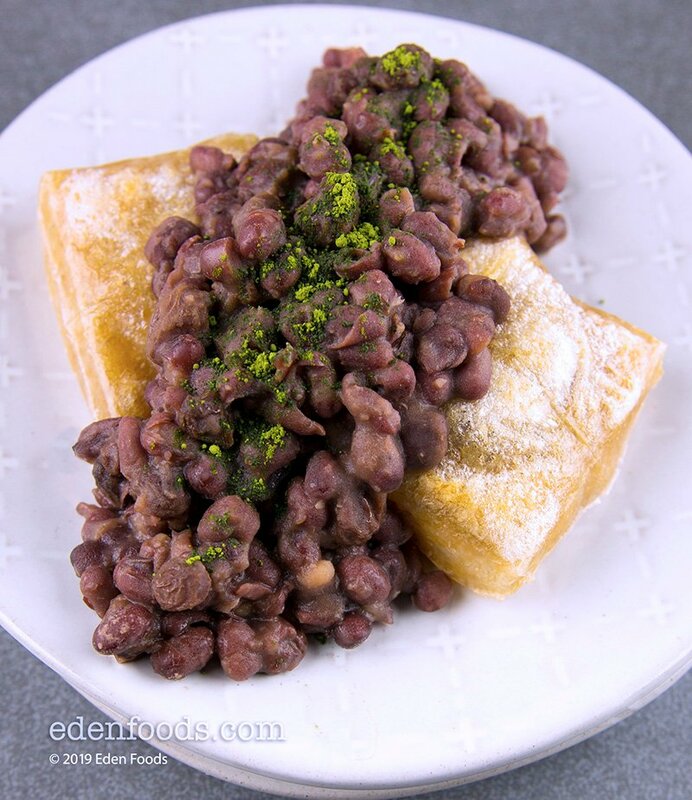 Place the aduki beans, syrup, raisins and shoyu in a saucepan and bring to a boil. Reduce the flame to medium-low and simmer for about 10 minutes. If liquid needs to be added, add a small amount of the reserve bean cooking liquid. When the beans are about half cooked, place the mochi on a baking sheet and bake at 450° for about 5 minutes or until it puffs up. Place 4 pieces of mochi in individual bowls and spoon the sweet aduki beans over.